Cognitive-behavioural therapy (CBT) is a structured therapy that focuses on how thinking is related to behaviours and emotions. CBT examines how difficulties with thinking patterns and behaviours may be maintaining anxiety and other mental health problems. Problematic thinking patterns that are common to anxiety disorders include overestimating the likelihood of negative events, catastrophic thinking, focusing selectively on threatening information. 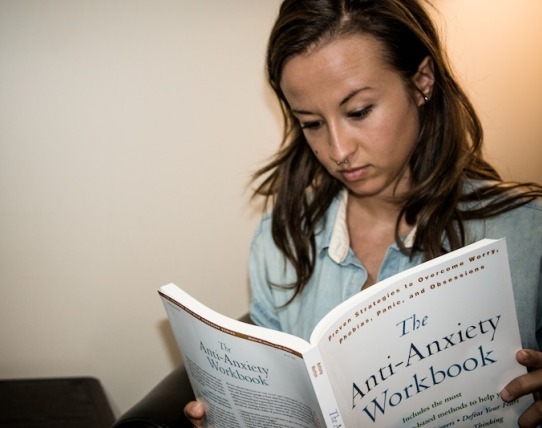 In addition, those with anxiety disorders can exhibit problematic behaviour such as avoidance of situations that cause anxiety and safety-seeking behaviours that serve to reduce anxiety. These behaviours can be problematic because the individual has difficulty learning that anxiety itself is not dangerous, and that they can cope with it without engaging in these problematic behaviours. Please visit the following link for a list of anxiety resources in a community near you.